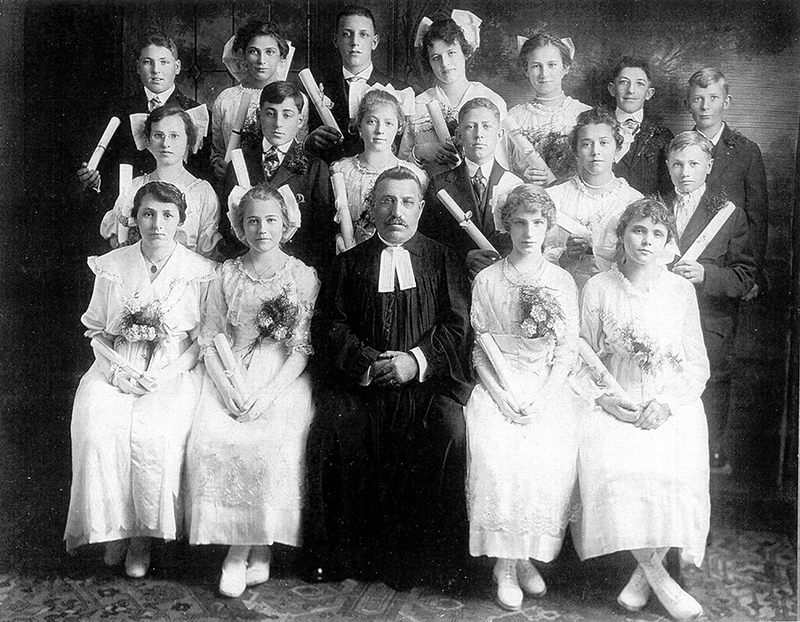 The St. Pauls Evangelical and Reformed Church Confirmation Class of April 8, 1917. Front row from left to right: ?, ?, Rev. Jacob Hergert, ?, ? Center row from left to right: ?, Henry Hergert, ?, ?, ?, ? Back row from left to right: ?, ?, ?, ?, ?, ?, ? 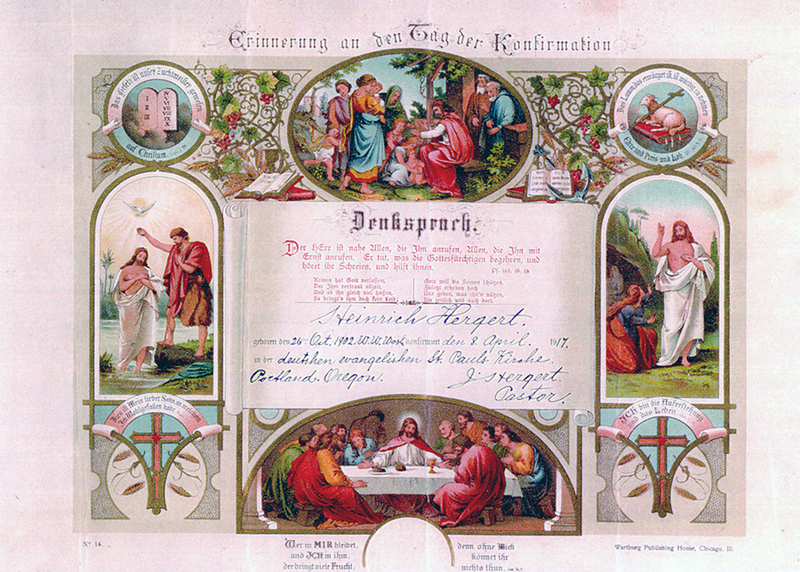 Confirmation certificate of Henry Hergert courtesy of Carol Gass. Photograph courtesy of Carol Gass (née Hergert) who identified Henry Hergert who was born October 26, 1902.